Go to your settings (it’s a gear icon at the top right-corner of the screen) and click Mail(Office 365). 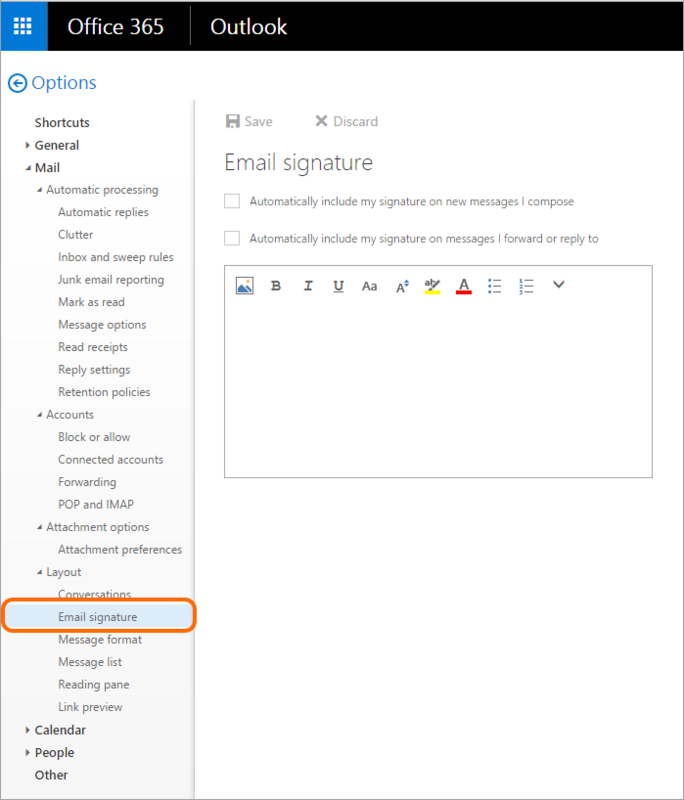 On the left pane, extend the Mail section, then Layout and select Email signature. To make signature appearing in every new email message, check the Automatically include my signature on new messages I compose box. Then, compose your email signature using available formatting tools. You can also compose your signature within an email signature generator and then paste it to Outlook on the web’s editor. Once your signature has been created, hit the Save button so that all changes take effect.